Saths Cooper is Vice-President of the International Social Science Council (ISSC), President of the International Union of Psychological Science (IUPsyS), and the Pan-African Psychology Union. He is also a Fellow at the Psychological Society of South Africa, National Academy of Psychology – India; Honorary Fellow at the British & Irish Psychological Societies; Extraordinary Professor at the University of Pretoria, and Honorary Professor at the University of Limpopo. 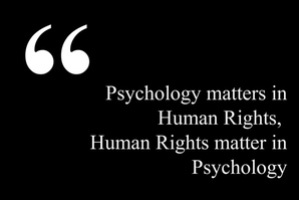 In addition, he is the Primary Author of the 1st SA statutory ethics code for psychologists. President, American Psychological Association (APA), Dr Laurie Sands Distinguished Professor of Families & Health in the Departments of Family Medicine and Psychiatry. Canada Research Chair in Child, Family and Community Resilience, and Scientific Director of Children and Youth in Challenging Contexts Network at Dalhousie University, Halifax, Canada. Professor of Cultural and International Psychiatry at the VU University Medical Center, Amsterdam, and at the Amsterdam Institute of Social Science Research (AISSR) of the University of Amsterdam. Prof. emer. of Clinical and Community Psychology, and Co-founder of the board of directors of the Center of Conflict Studies, University of Marburg. Co-founder and honorary chairman of the Forum Friedenspsychologie, and advisory board member of the joural Wissenschaft & Frieden. Associate Researcher at UCL (University College London), and previously a professional and academic tutor on the doctoral course for educational, child and adolescent psychology. When working for the BPS, Dr Sykes was on the Ethics committee and lead person of the Division of Educational and Child Psychologists (DECP) working party on parent partnership. Until recently she was also a member of the editorial board of the DECP newsletter and responsible for international affairs. José María Peiró is the president of the International Association of Applied Psychology and past president of the European Association of Work and Organisational Psychology. He is also professor of Work and Organisational Psychology at the University of Valencia, and senior researcher at the Research Institute of Economics (IVIE) in Valencia, Spain. Morten Kjaerum is the director of the Raoul Wallenberg Institute of Human Rights and Humanitarian Law. He is also the past director of the European Union Agency for Fundamental Rights, and has been member of the EU network of independent experts responsible for monitoring compliance with the EU Chart of Fundamental Rights. He has written extensively on human rights and was awarded an honorary professorship at the University of Aalborg, Denmark in 2013.